Good manners is only part of the etiquette cycle. Demonstrating etiquette daily is a given in the office workplace and on the shop floor. Etiquette is a dynamic component of doing business in the 21st century and requires expert education in the craft of etiquette. You already known that the management of business success requires all employees, including managers and directors to understand best etiquette practices and time efficient strategies in a modern framework. Etiquette on a daily basis is part of all successful businesses. To meet the rapidly growing demand, Coaching Leads To Success is delighted to offer Etiquette training programmes throughout the world. The Etiquette Business In A Boxtraining program is designed to give you that solid start with the key knowledge and tools needed in one of the fastest growing industries of this decade. Working as an Etiquette Consultant is the ideal choice for those individuals with the drive, desire and passion who care about their future clients and would like to build a successful business. The Etiquette Certification Training is a fully comprehensive package, we believe, covers everything you'll need to position yourself for success. 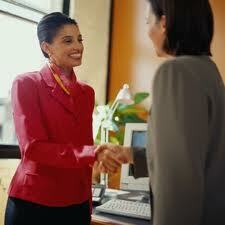 You can work on your etiquette business daily with confidence.